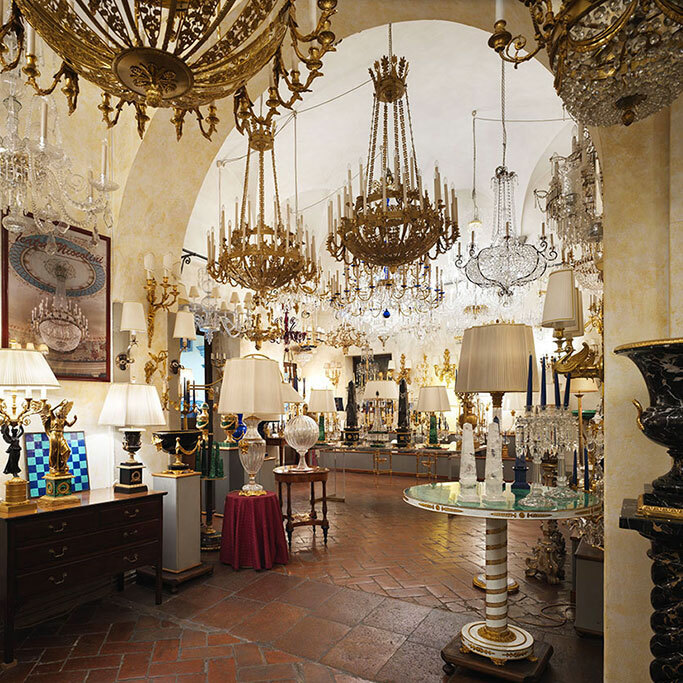 The Gherardo Degli Albizzi style chandelier factory s.r.l. was founded in 1960 by the homonymous founder. 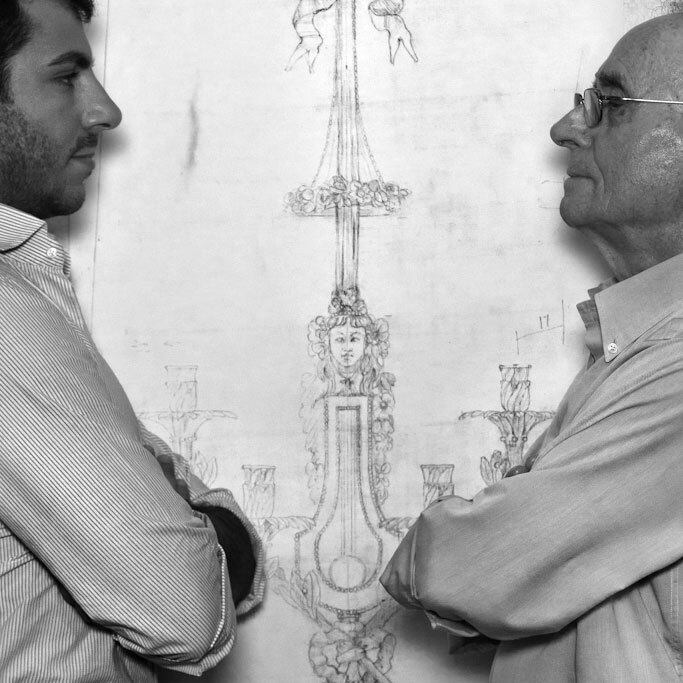 The company, which thanks to the work of its expert craftsmen, has maintained over the years the high level of taste and quality, is currently led by his nephew Gherardo and his partner Mario Innocenti. Gherardo Degli Albizzi realizes faithful reproductions of chandeliers, candlesticks and appliques in antique style combining the ancient techniques of working with prestigious materials: the crystals are hand-grounded while the bronzes are first melted in the ground or with the ancient technique of lost wax and then chiseled. Gherardo Degli Albizzi also performs work in marble or hard stone such as malachite and lapis lazuli and hand-decorated furnishing accessories. Many of our productions are present in hotels, museums, embassies, palaces and other structures of great importance at national and international level. The laboratories, where the entire production process is carried out, and the company showroom are located in the heart of the historic center of Florence, a few steps from Ponte Vecchio and Palazzo Pitti.